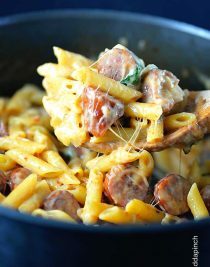 This One Pot Penne Pasta recipe is made with sausage, red peppers, and spinach and ready in 15 minutes, making this pasta recipe a weeknight favorite recipe! It’s a busy weeknight and if I haven’t planned ahead, I start to think about what’s for supper. It’s a question I know we all ask ourselves all the time! 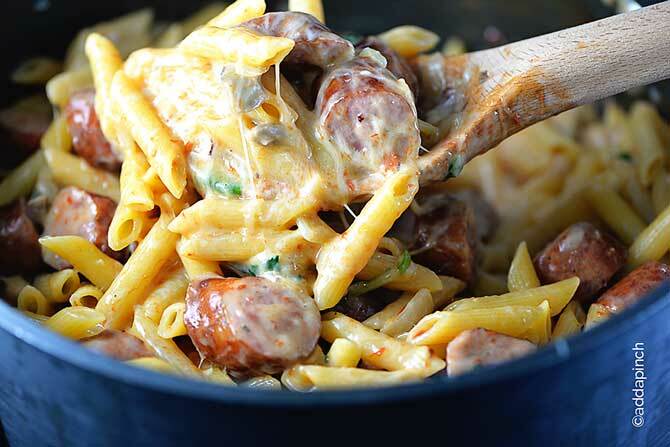 These are times I am happy to remember this One Pot Penne Pasta recipe. I am always thankful that it’s such a quick and easy recipe. I also am happy that my family absolutely loves it! This is one of those pasta recipes that you throw everything into the pot and everything cooks together like magic. It also means there is only one pot to wash, one pot to dry, and one pot to put away. I love recipes like that! You can customize the ingredients to your preference, but here is what I include. I use a smoked sausage that I slice into large bite sized pieces. I find that the smoked sausage amps up the flavor in a short amount of time. I also use diced onions, garlic, mushrooms, jarred roasted red peppers, cheese, and fresh spinach. The flavor combination is out of this world delicious and one that I think you’ll enjoy, too! Not only is this dish full of incredible flavor, it couldn’t be simpler to make. 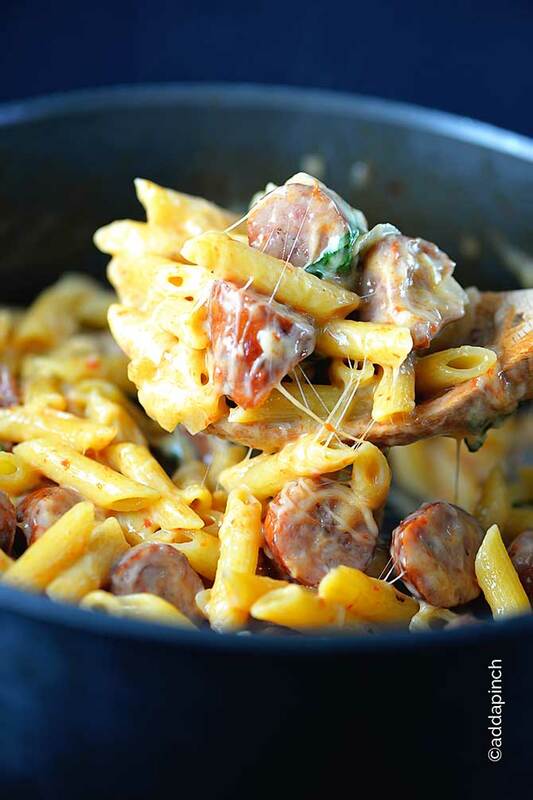 To make this one pot pasta, add the sausage, onions, garlic, and mushrooms to the pot first. Once your onions become tender, toss in the penne pasta, add the chicken stock and the jar of roasted red peppers with the liquid from the jar, and cover the pot for about 5 to 8 minutes. This allows the penne pasta to cook quickly and become tender. 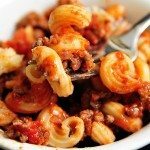 Remove the lid, stir and continue to cook until penne pasta is al dente or reaches the amount of tenderness you prefer. Finally, stir in the fresh spinach and cheeses until well combined, and the spinach is tender. Then it’s ready to serve! Believe me, this has become one of my favorite staple recipes! 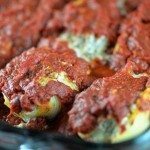 It is so easy and delicious and a dish my family loves! Here’s my simple One Pot Penne Pasta recipe. It’s a keeper! Add sausage, onions, garlic, and mushrooms to a medium pot over medium heat. Cook until onions are slightly tender, stirring often. Add in penne pasta, chicken stock, roasted red peppers, along with the liquid from the jar. Stir to combine and cover for about 5-8 minutes. Remove lid, stir and continue to cook until penne pasta is al dente or at the amount of tenderness you prefer. Stir in the cheeses and fresh spinach until well combined and the spinach is tender. Serve. I can’t wait to make this. It looks absolutely delicious. I need to make this, looks delicious! I love one pot meals! The fact that the penne cooks in the same pot as everything else is simply awesome (as that means one less dish for me to clean later 😉 ). This is definitely going on the menu for dinner next week!! i am going to make this recipe soon.Is the smoked sausage kilbasa? Thanks for the recipe I do follow your recipes with great results.Keep on sending them.I look forward to them. can this be made with chicken instead of smoked sausage? Sure! That would be delicious! Love the easy cleanup and the flavor combination sounds delicious. I made this today and it is ABSOLUTELY DELICIOUS:) Thanks Robyn. Finally, to hear from someone who actually made this recipe! Good job! I made this tonight and it was fantastic and a big hit. thank you! I made this recipe over the week end and it is easy and delicious! It truly uses 1 pot. Love that! I’m so glad you loved it, Alice! I made this tonight and mine was still pretty watery after cooking. I followed recipe exactly…..anybody else have this issue? Should I do a lower heat for longer time? I cooked it way longer after the initial “5-8 minutes” in order to get the pasta cooked and it also burned off a ton of liquid during that extra time. Then if it’s still a little liquidy even after the pasta is done, take it off the heat and let it sit for a few minutes and it should thicken the rest of the way. I just made this. One spot it says add spinach and cheese last. One spot said add it all at once, which is a big mistake. Add it when done. Thanks! I’ve made it twice now the way the recipe states (adding all at once with the pasta and peppers) but I was thinking about trying it adding the cheese and spinach last. I’ll do it that way next time! I make this all the time. But, I put it all together, adding the cheese last, and add the cooked pasta to the “conglomeration”. We have this a least twice a month. I’ve always used Hillshire” sausage. I need to make this! i just want to add spinach for the health benefit ha! I made this last night. So yummy! However, I would definitely add the cheese and spinach at the end next time. It burnt the bottom of my pan. Also, I had to cook the pasta a lot longer. Otherwise, it was so delicious. Thanks so much for the recipe! Absolutely delicious, but the past took foreeeeever to cook. From start to finish was approx 45 minutes. Next time, I’ll cook the pasta separately, and then add at the end. tThis recipe looks so good nd quick I will be making this one tonight!! Love this recipe! I had to make some change only because I didn’t have the exact ingredients. I used 1 cup of grated Pepper Jack cheese and 1 cup Colby Jack. Wanted to use up more of my spinach, so I added 3 cups. This is such a good basic recipe that other vegetables could be added or substituted. 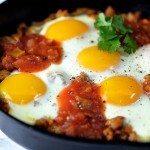 I’m new to your website, but will be returning for other recipes. Thank you! Can’twait to make this, do I cook the sausage first or does it cook in the boiling water? Thx! Thanks for the recipe , made it tonight and it was tasty. Only problems I had was my pasta took twice as long to cook (even though it was in a small enough pot that it was submerged in the chicken broth) and because I had to cook it so long the cheese started to burn a bit at the bottom and sides of the pot. I do like the flavor of the ingredient mixture, so does my husband, so I’ll try it again but Next time will cook the pasta separately, and add the cheese much later on so it won’t have time to stick to the pot. This was my thought – that the cheeses should go in later after cooking while still super hot. Is there a way to do this in a slow cooker? Or would the pasta get too done? Thank you for this great recipe. Every time I make it, the entire family eats it. I do have to cook it for longer than the recipe states to make sure the pasta is cooked through but otherwise, it’s wonderful. The flavors are such a great combination. Am I able to substitute the Spinach for Kale? I’ve never substituted kale. It may take a bit longer for the kale to soften versus if using the spinach. Enjoy! What could I use instead of montery jack cheese? I’m in the UK. Hi Nikki – You can substitute another similar cheese that suits your taste. I’m not exactly certain of all the cheeses in your area, but have seen some people comment that they have used other cheeses instead of this one. I hope you enjoy it! Thanks! Monterey Jack Cheese is available at the Tesco cheese counter – In a large block and you ask for your desired size / weight amount. Or, Monterey Jack 1840 Cheese Slices (8 per pack – 160g) from Waitrose and Ocado. And, Monterey Jack 1840 Grated Pack (180g) from Waitrose and Ocado. If you have a good local Cheese Store, I am sure they will stock Monterey Jack Cheese. In Google, type, MySupermarket.co.uk – Go to the website and put Monterey Jack into their Search area – You may have to register – This will bring up where you can buy it in your area. how much pasta? I know it says 3 cups of uncooked…would that be a box of 1lb penne pasta or would I need more? I doubled the garlic, substituted spinach for the kale and added a splash of white wine. This was delicous! My nephew said it was one of the best pasta dishes he’d ever eaten! High marks from a 26 year old! Will make this again. Thank you! This was great! I don’t like spinach well cooked, so I mixed into the pot after pressure was released just until wilted. I also used 6 cups of spinach because we love it! 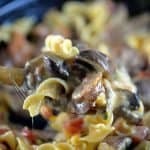 Doesn’t the pasta get gooey or starch tasting cooking everything together? Can I add the bacon and sliced potatoes or maybe broccoli instead of sausage? Has anyone used cooked chicken in place of sausage? I made your One Pot Penne Pasta recipe and absolutely loved it. Definitely a “keeper”. I do have one question. For the Parmesan cheese, what kind do you use? I happened to have some fresh Parmesan shavings on hand and used them but wanted to know what you prefer to use. Thanks! This was so good! Before dinner the husband said he wasn’t hungry. He ended up having 3 plates! And it’s pretty too boot! I read in other comments that their dishes turned out a bit watery. I had to add more chicken broth because mine was too thick. I guess the thickness of the sauce depends on which way the wind blows, but it’s easy enough to fix. This recipe is definitely going to be in our dinner rotation. And it’s so easy to make, I think I will make this for my next pot luck! If I can’t find fresh spinach what would you suggest? Will frozen work? It should work fine, Shannon. Just be sure thaw and drain the extra water from the spinach before adding to dish. Enjoy! Thanks! Wonderful to hear, Joanna! Thanks! So yummy and quick to make. I substituted the spinach for broccoli. Next time I will add some shrimp and chicken. Thanks for the recipe! 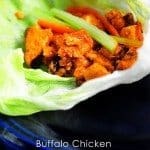 I love this recipe and have made it a few times…and absolutely LOVE it! For the best results, you will want to cook pasta separately, make the rest of dish then add cooked pasta to end in crock pot. Thanks! I’m seeing all of these fantastic reviews, but honestly , I cannot agree. I attempted this recipe, and to begin, you can’t cook penne with any amount of liquid in 5-8 minutes. It takes at least ten. So with as little liquid as you suggested, it took much more than ten minutes, and I had to add more liquid to completely cook the pasta. Aside from this flaw, the flavors are fantastic, and I enjoyed eating it. 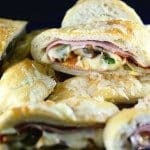 Really good recipe, tasty and easy! I made this tonight and it was absolutely delicious! I did cook the pasta separately. (As I read some of the reviews) And I cooked it a little more than the 8 minutes to get rid of most of the water. This dish is definitely a keeper for me. It was quick and very flavorful. I will be making this again. I’ve made this in the trailer out camping… easy one pot meal. I’m wondering about using sun-dried tomatoes rather than the red peppers? Or maybe a combination of both. Family loves it. I have not made it with sun-dried tomatoes but sounds great. So glad your family loves it.